It isn’t always easy to keep up with an oral healthcare routine that includes biannual cleanings and checkups for your entire family. After all, you lead a busy life, and it might be difficult to find a few spare hours when you can visit your local dental office. We understand this challenge, which is why our goal as your family dentist in Jacksonville is to make maintaining a healthy smile as easy and convenient as possible for your household. Have you ever tried to schedule a dental appointment for your little one only to find out that a dentist only treats adults? You’ll never encounter that annoying problem in our practice because we’re eager to welcome patients of all ages, including young children. We go out of our way to make kids feel comfortable in our office with our gentle touch and friendly manners. In addition to performing checkups and cleanings for children, we offer other preventive services as well, such as sealants and topical fluoride. And don’t hesitate to ask us any questions you might have about how to care for your young one’s teeth at home; as your children’s dentist in Jacksonville, we’re eager to share our knowledge of how to keep young smiles bright and healthy. We don’t want you to have to run all over town to get the dental care you need, which is why we offer a wide range of services to maintain, restore, and beautify your smile. We have two extremely talented dentists on staff, both of whom have undergone extensive training in various areas of their field. Their expertise allows them to perform most procedures without referring patients to another practice. One of the main challenges that families face when trying to get to the dentist is scheduling. Many practices have extremely limited hours, and getting to your appointments may require that you miss work or that your children miss school. Since we want to disrupt your regular routine as little as possible, we are open until 6 p.m. four days a week. We even have some Saturday appointments available! When you call to schedule your appointment, simply let us know what time works best for you, and we’ll strive to accommodate. We might even be able to see your whole family around the same time so you only have to make one trip to our office. Convenience and quality dental care should not be mutually exclusive. 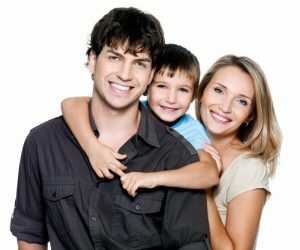 If you would like to discover how easy it can be for your household to enjoy healthy smiles, give us a try as your family dentist in Jacksonville. Dr. Jignesh Patel is a general dentist who is passionate about providing gentle, personalized care to each patient he treats. If you would like to meet Dr. Patel or schedule your family’s next dental checkup, contact our office at 904-262-9466.